I’ve really loved the weather this week because it’s actually felt like fall all week long. A couple nights we’ve even had to close the windows because it was just getting too cold inside. I love it and it’s such a welcome change from the many sweltering days we had this past summer. When the cold weather starts, I’m immediately in the mood for the hot hearty deliciousness that is soup. I love that you can turn almost anything into a tasty warming soup, but, anything that’s made with bacon is even better, right? That’s why I’m happy to share 16 of my favorite hearty soup recipes made with bacon this month! This post with 16 hearty soup recipes made with bacon is a sponsored post written by me on behalf of Foodie.com. I have to admit, I thought there were a limited number of things that would go well with bacon in soup. 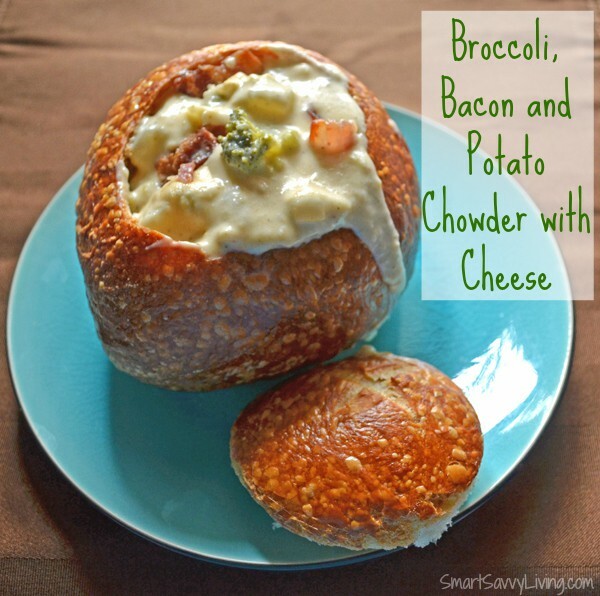 For example, my favorite soup concoction that I came up with last year that combines 2 of my all-time favorite soups, my Broccoli, Bacon and Potato Chowder with Cheese recipe. But, if you scroll through the Foodie widget at the top of this post, you’ll see recipes for Simple Creamy Cauliflower and Artichoke soup and even a Bacon-Topped Sweet Potato & Ham soup that you can even make in a slow cooker. I never would have thought to pair these ingredients together, but they sure do look good! 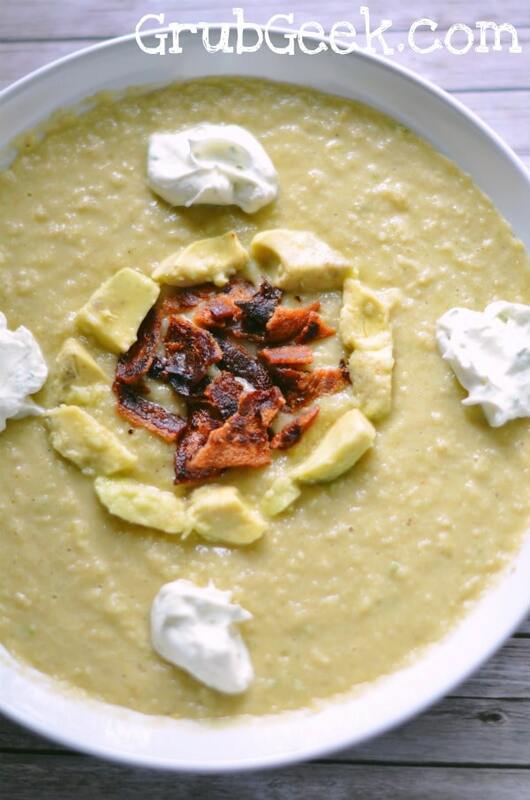 I did get adventurous with bacon once, when I paired it with avocado and corn to make this Avocado and Corn Soup with Bacon and Lime Whipped Cream recipe. I love that it’s great either chilled or warm so I can enjoy it all year long. Be sure to scroll through the widget at the top of this page for some other bacon-licious soup ideas! If you find a recipe you’d like to check out, just click on the picture. Another of my favorite bacony soups is this Bacon Cheeseburger Soup recipe! 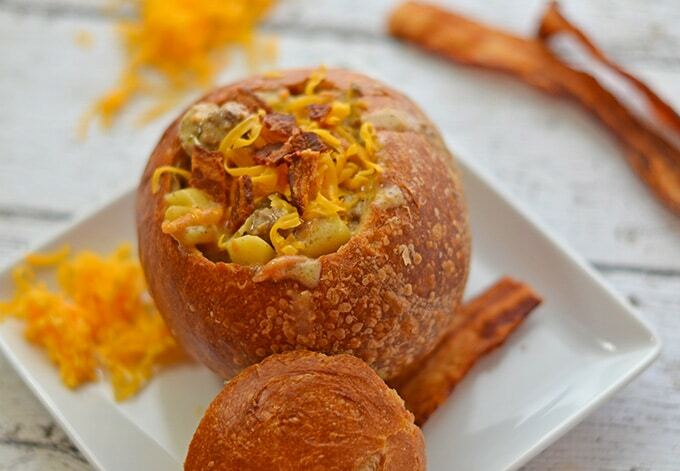 What’s your favorite of these 16 Hearty Soup Recipes Made with Bacon?